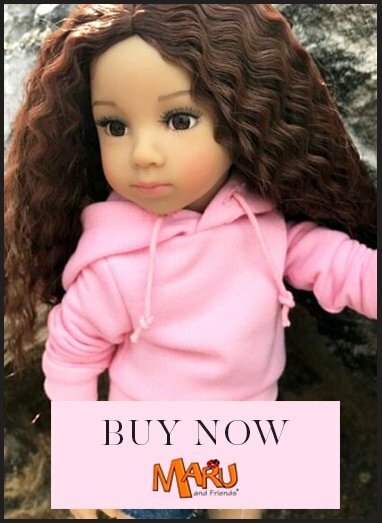 Brand: Paola Reina/Las Amigas Eye type:Hazel-Brown/ Fixed Size: 32cm/ 13" Hair: Strawberry-Blonde/ Rooted Articulation: 4 points Paola Reina was established in Spain in 1994 and has achieved worldwide success with its beautiful dolls. Paola Reina Las Reinas dolls are thoroughly European as not only are they made in Alicante in coastal eastern Spain, all their component parts are sourced from Europe. Dasha is a vibrant 32cm vinyl doll with rooted hair and a soft vanilla scent. She's gloriously pretty with her dusting of freckles and light hazel eyes. Her hair is strawberry blonde in colour and she has it styled in a fringe and it's worn on her head in an elegant bun. Dasha Epoque wears a splendid pale blue, ivory and brown gown and is ready for court! Dasha is one of the Las Amigas or "Friends" collection and she has her own section of clothing in the My Doll Best Friend shop.